As the Director of Programs for School on Wheels, I often get asked about the biggest challenges my students face. What makes learning so difficult for kids experiencing homelessness? Why are assessments so difficult for them? I believe it is a combination of many factors, but there is one factor that seems to stand out in my mind. It’s simply a routine. Yes, just a mundane, regular routine. It’s something many of us take for granted, but I’ve come to realize it is vital. 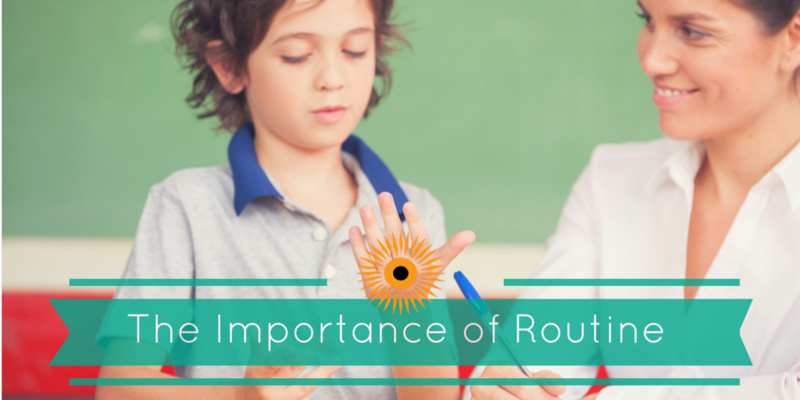 While many kids may want you to think they don’t like a set routine, brain research tells us just how important this can be for a young learner. Children who face homelessness may not know where their family will sleep or eat in the future, let alone where a safe place is to complete homework. As you can imagine, this uncertainty causes stress, and when a child is extremely stressed, not a lot of learning can take place. Consider my own three children. When they walk in the mud room from the garage after school, they each have two hooks – one for a jacket or sweatshirt and one for their backpack. It’s the same spot every day. After getting a snack and relaxing for a bit, they get their backpack – from that hook – and head to the dining room table to start their homework. While they may squabble about who gets to sit in a chair with arms, or they may stall and push back homework time as much as possible, they know where they can sit and where to find pencils, pens, markers, colored pencils, glue, and even fancy, multi-colored paperclips. What a difference! Students experiencing homelessness don’t have much of this consistency – this mundane routine – at all. And that consistency is so important for learning. When everyday routines are in place and some basic expectations are met, the brain can relax and focus on algebra or cell parts or the Gettysburg Address. I can see how the education gap gets wider and wider when factors like routine can have such a tremendous impact on learning. And so, our work is cut out for us. The good news is we can make a difference for our students who are facing seemingly impossible challenges. We can provide some structure, some reliability, and some genuine care. I see it happen every week at our tutoring spots, and I am so thankful for all the volunteers, donors, and caring community advocates who make it happen. Want to learn more about homelessness and the affects it has on children? Click here.